It appears that the future of fashion has come, and the foundation began with the notable partnership of Epson Philippines and renowned fashion designer John Herrera. 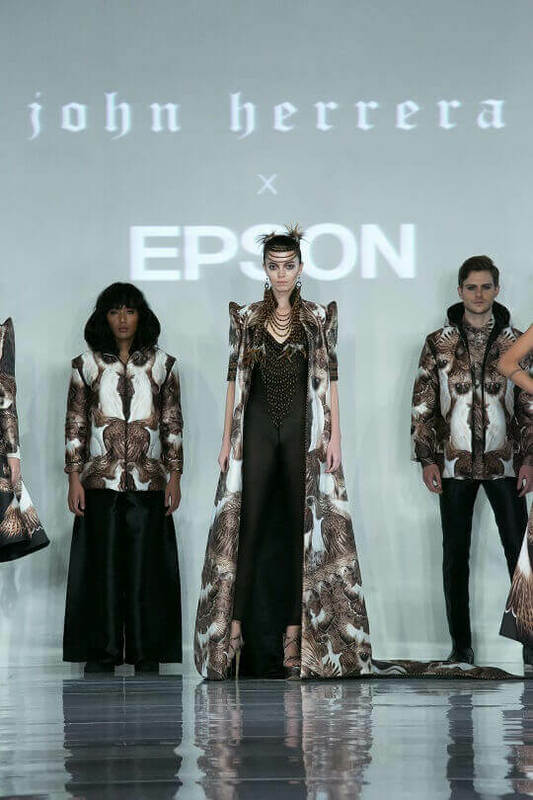 Epson's next-generation textile dye-sublimation transfer printers were used for Herrera's latest collection, giving birth to a 30-piece Aguila-inspired collection. The preview of John Herrera’s latest collection, which takes inspiration from the Philippine Protected Animal – Aguila (Great Philippine Eagle) – was recently held at the Shangri-La Mall Grand Atrium. The collection transitions from black and white to colored designs. Herrera recently won the top designer award in the 2015 London Emerging Designers (LED) Awards. Now, he has joined Epson in taking fashion to the next level through digital textile printing. He is now the brand ambassador, as well. The latest collection is printed with Epson’s SureColor F-series dye-sublimation digital textile printers, the SureColor SC-F9270 and SC-6270. According to Herrera, the partnership with Epson is "very exciting," as printing offers a lot of possibilities compared to using regular fabric. Digital textile printing also allows him to use only the exact volume of fabric, lessening fabric wastage that usually happens when doing the layout of dresses. Pamela Albar, Department Head for Commercial and Industrial Printers of Epson Philippines, said that Epson is certain that this collaboration will inspire more designers to go beyond limits and make their own prints for their world-class designs. Through Epson’s digital textile printing technology, the ideas of designers are translated into high quality digital textile prints driven by Epson’s PrecisionCore printhead technology, one of the fastest inkjet delivery technologies in the world.